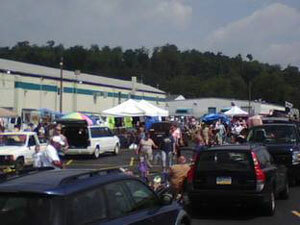 The Perryopolis Flea Market is open every Sunday, year round. You are invited to browse the Flea Market from 7:00 a.m. until around 2:30 p.m. The admission is $1.00/car or $.50/walk-in customer. Children under 12 years of age are free. Door prize drawings occur throughout the day for customers as well as vendors.